Are you looking for a delicious apples recipe with a difference? If you are, you’ve found it! Here’s my apple & rosemary cake for you to enjoy. 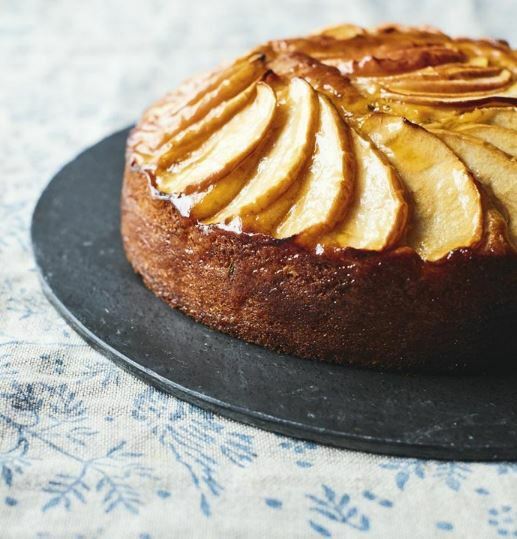 Feast your eyes on the finest apple & rosemary cake! It’s straightforward and fun to make this great dish. Simply follow the instructions below and get the perfect result. Preheat the oven to 180°C/gas mark 4. Grease a deep, loose-bottomed round cake tin, 20cm diameter, and line with baking parchment. Put the eggs and sugar in a medium bowl and beat using an electric whisk until well combined and pale. Add the yogurt, oil and vanilla extract and whisk, then fold in the four, cinnamon and rosemary. Pour the mixture into the prepared tin and spread evenly. Lay the apple slices on top, arranging them in an overlapping circle around the top of the cake until the top is covered. Bake for 30–35 minutes or until risen and it feels spongy and firm and the sides are coming away from tin. Leave the cake to cool in its tin for 5 minutes. Remove from the tin and put on a wire rack to cool. Once the cake has cooled, gently heat the apricot jam then pass it through a sieve to remove lumps. Brush it over the top of the cake. 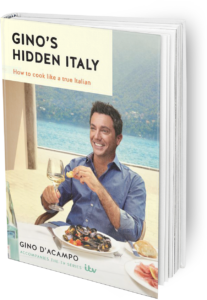 Once you’re done, simply sit back and enjoy your apple & rosemary cake and don’t forget to check out other great authentic Italian recipes including great antipasti recipes, Italian pasta recipes, Italian soup recipes, Italian beef dishes and authentic pizza recipes.